Fall races have wrapped up, the holidays have begun bogging up our schedules and daylight is scarce. With my substantial endurance athlete build of 13% body fat, winter is my least favorite time to be a runner. 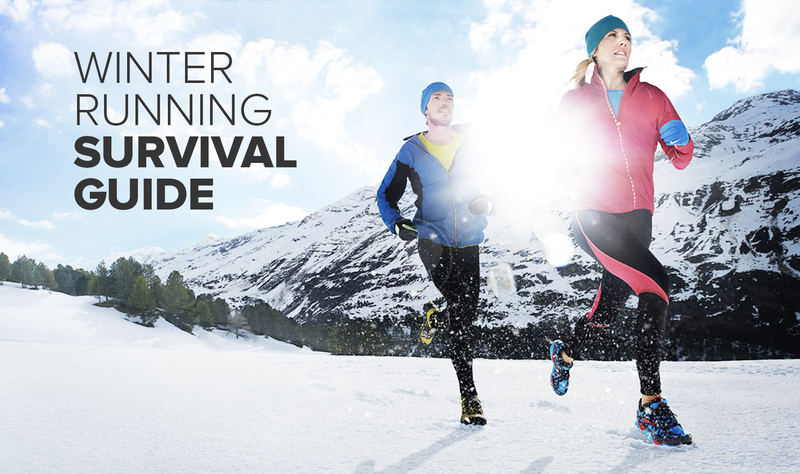 Currently, in my twelfth year of tackling this season of training, I’m feeling pretty prepared to put in some monster mileage using the following winter running hacks. Although the location based tips are specific to Kansas City, most of these suggestions are useful for any frigid location and can make even the coldest workouts of the year better. Find a friend or two with the same level of commitment and crazy as your own and schedule your harder workouts and long runs with them. Personally, 10/10 times I set my alarm to workout alone I’ll never get up in the dark and cold unless there is someone meeting me. Studies suggest that working out with a friend leads to higher quality efforts and better long term fitness gains as well as higher satisfaction from social aspects and motivation to stay on track. I’ve found that even if you can’t meet up with someone, sharing a workout and following up after increases the likelihood of you executing it in its entirety. Using apps and sites like Strava.com and Garmin Connect are great ways to share stats on workouts and compare notes with you accountability partner for days you can’t meet up in person. I lived in beautiful Parkville, MO for 13 years and the underground facility is a hidden gem open to the community perfect for frigid days and for those unable to stomach a treadmill. It is always a balmy 60 degrees, is well lit, and has a restroom available (very important on any route). I particularly enjoy medium distance runs, 800 meter repeats, or shorter fartleks down there. Because it is virtually concrete on top of stone, too many miles down there will leave your legs a little beat up. Kansas City has a great selection of gyms but a good fit for a runner in my opinion has to meet a few criteria: 1. High quality treadmills, 2. Indoor pool, 3. Precor Ellipticals (more on these in another blog), 4. Indoor track. I know, that’s a tall order to fill, but if I’m dumping 50.00+ a month on a gym it has to have everything I need for high quality training and injury prevention. The only gym I’ve found in KC that has all of these is the YMCA. Conveniently, you can use any of their 14 locations around the city and they welcome guest which works great for that accountability partner. If you are still not sold on the whole gym membership but just need to use a gym for a few days during a cold spell, sign up for one of the many free trials that most gyms offer. YMCA offers a 3 day pass Gold’s offers 2 weeks, Genesis Health Club offers a free week, Onelife offers a 2 day…and so on. Just get on their sites, fill out their form and gym hop until temps rise. Summer is the best for a minimalist runner like myself. Shorts and a sports bra is all I need to hit the road right out of bed or after work. The winter is a different story. You actually have to plan, pack and watch the weather. I’ve found that keeping a runner survival kit in my car at all times helps my most efficiently execute training on the go. Here’s what I always have in the winter: 1 pair of shoes, wool socks, long sleeve, warm up pants, half zip, gloves, headband, and snack bars for before or after. I’ve found keeping 5 hour energy shots in there for a little pick-me-up dramatically increases quality of a lot of my runs as well. Another prep tip, I’m sure you’ve all heard but I’ll reinforce, is laying clothes/food/caffeine out the night before. Your brain is only functioning at about 25% of it capacity right when you get up…you don’t want to be waffling over where you put your running tights for 10 mins when that could translate into an additional valuable mile. Make it easy on your dull morning brain and line all that stuff up before you hit the sheets. • Epsom salt/aromatherapy baths – ya ya, I know epsom salt technically has no proven benefits on muscles other than a placebo effect (thanks to my husband for bursting my bubble) but essential oils, epsom salt, and a nice hot bath bring my sore legs pure placebo bliss. Amazon.com has 20 lb bags for 29.99 on Prime from my favorite, San Francisco Salt Company! • Stay Caught Up On Your Rolling – You’ll never need it more than you will now. Live on that roller. Once your muscles are nice and warm after your bath, get some lotion on them and roll away focusing specifically on the IT bands. Roll Recovery R8 and GRID Trigger point foam rollers are what my husband and I use and love – the R8 for calves and GRID for hamstrings, IT band, and quads. • Get A Massage – Or have your significant other give you one. Relieving knots in your shoulders and back helps you not jack up your arm carriage in the winter months and improves your sleep. • Find A Sports Doctor – Don’t ignore that nagging achilles, IT, or hip pain (or any pain for that matter). As runners we have a pretty high pain tolerance but injuries tend to go up in the winter when we repeatedly stress tight and inflamed problem areas. Check out what your insurance covers in terms of chiropractic and soft tissue specialists. Also be discerning when selecting a Doctor. It’s a big investment, ask questions about their background and experience. Find one that is used to working with athletes and will develop a regimen of drills and exercises specific to your weaknesses and goals. Personally, my husband and I have had a phenomenal experience with the Doctors at KC North Spine and Joint and highly recommend them. Check them out HERE ! So there you have it, no more excuses for inconsistency this winter. Happy training!